Home › Knowledge Hub › Thought pieces › Brand should be the fundraiser’s best friend – why is this not always the case? How many times have you heard a fundraiser complain that the charity's brand is not working for fundraising? A friend once told me a cautionary tale about the relationship between fundraising and brand communications at his organisation; apparently the communications team would wait for fundraisers to leave the office before conducting a 'desk-sweep' for 'illegal' uses of the charity brand on fundraising materials. Not surprisingly, this activity earned them the collective endearment of 'logo cops'. This is an extreme example, but in organisations where fundraising, marketing and communications are managed in separate teams (or even when they aren't), the potential for internal friction over brand is great. But it doesn’t have to be this way. In theory the relationship between fundraising and brand communications should be a beautifully synergistic one: the communications team unearth and articulate the organisation's story – the brand – and fundraising have their hands on many of the direct channels for communicating it. And after all, you can only fundraise with a clear message or organisational story. Over the last 15 years, I've worked for and with charities that have various structures for managing fundraising, marketing and communications. 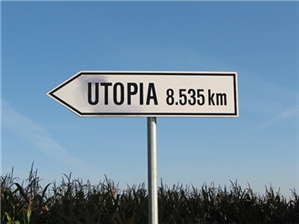 Unfortunately, my utopian vision for a world in which brand communications and fundraising are mutually supportive is mostly just that – utopia. But why do we find it so hard to work together? Some of the answer lies in the fact that fundraisers can often get left out when the brand is being developed. It can be hard to develop fundraising messages on the back of an organisational story you don't feel you own. There are other factors at play too – lack of internal communication, lack of respect for each other's disciplines, internal structures, competing pressures, even different personality traits. Let's take the example of managing a major partnership with a corporate partner. Deadlines and pressures from a fast-moving company don't always allow for much thought about how brand is reflected in the artwork of the fundraising project in hand. Colleagues in the communications team may be frustrated at what they interpret as poor time-management by the fundraisers or needless concessions to the corporate at the expense of the brand. Meanwhile, fundraisers will grumble about the 'logo cops' whose insistence on adherence to brand guidelines presents them with barriers. Of course, the truth lies somewhere in between these extremes. Coherent brand communications will deliver greater organisational awareness and support over the medium and long-term, but fundraising are often under pressure to bring in the money now. An appreciation of the real and often conflicting pressures on different teams is important here. Does your brand work for the whole organisation? As a brand has to be developed with a huge range of stakeholders in mind, decisions made along the way may mean that one set of needs may on occasion be prioritised over another. But to successfully create and deliver a brand, it is essential that the fundraising and supporter audience is given sufficient attention – or charities end up with brands developed in the equivalent of 'lab conditions' that can be inadequate when it comes to the demands placed on it by fundraising. These brands are either then defended to the 'death' or, even worse, completely re-done at greater cost. Brand should be at the heart of fundraising: where brand has been developed with the help of broad consultation and a consideration of all internal and external audiences the benefits are enormous. Over the years I’ve heard so many fundraisers talk about their lack of a clear 'case for support'. Your key brand messages should be at the heart of your case for support; fundraising doesn’t make sense without them. If the brand isn't working for fundraising then something has gone wrong in the process of turning that reason for being into a compelling and engaging story. Brand should be the fundraiser's best friend – but what do we do if it isn't? We can start by trying to understand those internal, inter-personal dynamics that so often get in the way of integrating brand, communications and fundraising. Charities need to take an honest look at whether their brand is working well across the organisation. In these times there are enough reasons to be anxious without internal friction generating more – in a sector that is coming under pressure from every angle, fundraising, communications, and marketing need to pull together and make sure we're working for and not against each other – for the ultimate benefit of those the charity exists to serve.